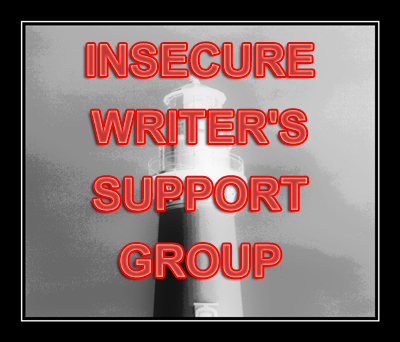 It is once again time for the Insecure Writers Support Group. Confused, that is what I am. There is a new world that I entered once I decided to take my writing more seriously. People in this world speak a foreign language and for someone like me who is just starting to look for the right roads to “Getting Published”, the language on the map is confusing. Most likely there are books out there, some kind of dictionary that will help me learn this language. Imagine walking into a grocery store in Japan. There are aisles and aisles of products to choose from but you have no idea what they are or what’s inside. Now if you speak Japanese you have no problem and milk turns out to be just that, and not fish sauce. It is the same way in a grocery store for the written word. If you do not speak the language you have no idea what you are buying, or are about to digest. Self-publishing, Indie books, query letters, agents, self-promoting, social networking, MC, YA, chick lit, word count, and the list goes on. What do half of these things mean and with all the choices out there, how do you choose? Standing here looking at this map, the direction is clear, but how to get there is confusing. Not only is it that, but the thought of drinking fish sauce is terrifying. It is a word maze! Synopsis vs. query, hook vs. incident, it's hard to imagine I'll have the time to learn all I need to learn AND write the stories. But the blessing of self-education is that you can work at your own pace, and learn exactly what you need to know, instead of some formula that might not work for you. I no longer feel that way. Last year, I tried the traditional way. I've learned to write from passion and not someone elses comformity rules. So I'm going Indie. However, I've learned a lot about how to tweak my novel. Any and all suggestions are helpful. Right now it's in the hands of beta readers then off to the editor...then off to formatting and so forth. I'm almost there. Very scary, indeed! Drinking fish sauce - oh, yuck! Stick to water, I think! And don't worry, you'll get through all the publishing crazy stuff. Writing is the hard part - the rest is just fun! Fishy, but fun! I decided that 2011 was the year to go "Indie-Pub" and boy has it been a steep learning curve. It has been fun but also very frustrating at times. I have still not worked out how an author is supposed to write wonderful novels and also keep up with all this social media hullaballoo that seems to be crucial to getting any visibility at the sharp end (ie Amazon sales). Luckily my partner helps out - but it is a full time occupation especially where we are both new to this game. There are many things I still have not mastered - as part of my "author platform" (more jargon!?) I was advised to blog regularly and did so for 7 months (every day!) - but have still only mustered 28 followers - so something is amiss (must be my content - ouch!?). I would say that the writing of the books is the easy part for me - its the "what comes next" that leaves me cold and in the dark. Here's to enlightenment in 2012! Like Japanese, once you immerse yourself in it for a while, you'll get it. Good luck!! I know exactly how you feel. It seems never ending. And there's so many levals. I think I walked into social networking with a blindfold on for a while there. It takes time to sink in. Just getting to where Shelly is at, is a mile stone. I don't think one needs to really blog that often, although many do at first. The writing has to become top priority without the noise in your head with social networking. If a book is published, maybe then blog a little more. I'm quite happy with just twice a month these days. I learnt a lot from other writers in the maze of blogs and enjoy it, but writing time takes discipline with all this social networking going on in the brain. And it will take over, if you let it! It is awfully confusing and though I have been in the business for 3 years, I still find it very terrifying and confusing at times. I just take a deep breath, steady myself and ask lots and lots of questions. Writers are some of the most amazingly generous people out there and are always willing to help each other navigate the landscape. I'll just keep life simple and stay with my website & blog without any thoughts of financial gain. It's a lot to take in. I suggest you take it slowly, try a little bit of everything, and dive into the bag of food you like. You might think you don't like fish sauce, but maybe it's what's right for you! There is a learning curve for sure. Just learn one thing at a time, that is applicable to where you are on the journey. Good luck - new follower. It's mind-boggling stuff but once you're on the map it's not so bad. All the best for the New Year! I didn't even know to be confused, that's how lost I was in the beginning! There is a lot to learn. It's taken me a long time, and I sure as heck don't know everything, but I have learned a lot. If you want to shoot me questions sometime, feel free to do so. I've been published in a lot of magazines, I've gotten an agent, and then I've decided to go indie without the agent and publish on my own. So, I've done some stuff and I'm happy to share it with you. Stop by my blog, and you can email me at lissaanngood@yahoo.com any time. I didn't care about the confusion. I just plugged along because I'm a very stubborn person. Good luck to you in 2012 with your writing! Oh, you'll navigate it all! I think Writer Beware is a great 'dictionary' for the publishing world--it has the terms, but also the things to be careful of and questions to ask in each direction. I found you from Alex's blog and am now your newest follower. Nice to "meet" you! It's mind boggling all the stuff I've learned in the past two years about writing/publishing. It seems overwhelming, but soon enough you'll be a pro!